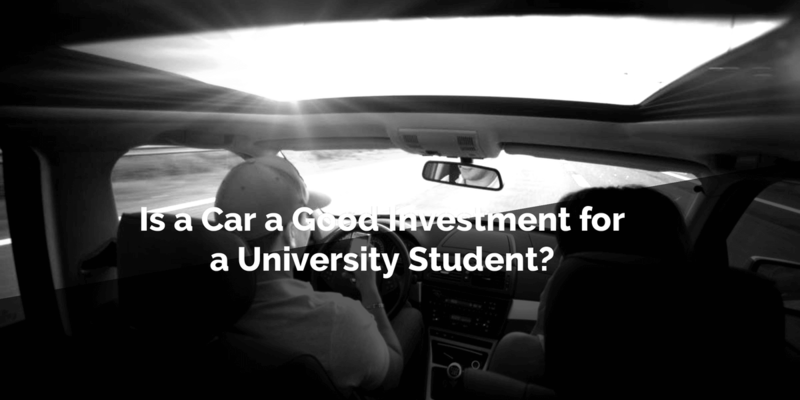 Are you trying to decide whether it’s a good idea to buy a car for university? This can be a difficult decision that will depend on your specific needs. Some students may need one to travel back home or to the store. If you decide on buying a car, you should carefully consider the costs and your budget. Besides the sticker price, there are numerous costs to consider before buying a car. Insurance can be very expensive, especially for young adults. RateLab explains, “depending on your location, young university students in Canada can expect to pay $1,500 - $3,000 a year on average for insurance.” This can also vary based on your age, gender, driving record, credit, and car type. Fuel is very expensive, and the prices tend to fluctuate frequently. The average cost of fuel in Canada is $1.33 a liter. This can translate into thousands of dollars a year depending on your driving habits and type of car. If the prices spike higher, then you can expect to pay drastically more. So, it’s best to estimate above the average price when determining your car budget. If you keep a vehicle long enough, it will eventually need repair outside of the normal routine maintenance, such as oil, brakes, wipers, etc. A new or certified used vehicle should have a warranty to minimize most of these costs for a specific period of time or mileage. After the warranty, you could pay hundreds or thousands of dollars a year in maintenance costs. This will vary widely based on the type of car, warranty period, driving habits, and the rate your mechanic charges. A high chance of things you’ll have to deal with at some point are traffic collisions, accidents, or crashes. Even minor incidents can be very expensive. Cascade Collision explains, “in 2015 the average collision claim was $3,350.” Obviously many accidents aren’t as expensive as several thousand dollars, but for newer cars, or for particularly bad accidents the fees can be incredibly high. All of this not including medical bills if anyone is injured in the crash. Parking is premium on most university campuses and is typically very expensive. According to Discover, “students can expect to pay a minimum of around $500 a year to park on campus depending on your location. Other costs to consider are registration, taxes, accidents, tickets, theft and other damages.” These things can easily add up to thousands of dollars a year. If you primarily prefer to stay on campus, you can probably get away without a car. Most campuses are designed like a small town where most of your basic and school-related needs are available on site. In most cases, you can walk or bicycle around campus. In closing, the costs of cars can be very expensive and students should carefully assess their needs before buying one. If you have a need to go off campus frequently, you may need a car. Otherwise, you should be able to get away without one. For additional help in your university experience, check Maple Learning regularly!